I’m completely just pasting in a press release here, but it’s got all the information you need. Why reinvent the wheel? Relish Restaurant Group announced today that for the second year in a row four of their area restaurants will hold a Veterans Appreciation Week giving all veterans a free entrée. 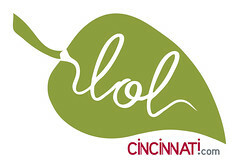 The Bistro, Chalk Food +Wine, Local 127 and Lavomatic Café will salute area troops with a free meal in celebration for Veterans Day. The event will last from November 8th through November 14th during regular business hours. To participate in appreciation week, veterans just need to show proof of military service and make a reservation at one of four restaurants. The veteran will choose on entrée from a special menu. If you feel like heading out of town on Sunday, I’ve got a great event for you. 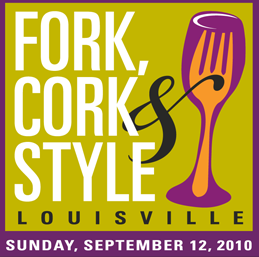 Fork, Cork, & Style is happening at Churchill Downs in Louisville this Sunday, September 12. Churchill Downs Entertainment Group is hosting Fork, Cork & Style this Sunday from 1-9 pm at the racetrack. The festival is bringing in celebrity chefs and party specialists, and Bringing to life its theme of “Fork, Cork & Style” the festival will present signature foods from around the country, celebrity chef cooking demonstrations, a wine tasting featuring 150 elite brands and innovative ways to dress up your next tailgating party. Chicago area’s Albano’s Pizzeria, #8 on Travel Channel’s “101 Tastiest Places to Chow Down” for their football-sized pizza puff ; Buffalo’s Anchor Bar, home of the original Buffalo Chicken Wings and #17 on the “101 Best Places to Chow Down” list; Memphis hot spot Central BBQ, rated #1 BBQ joint in Tennessee, which will prepare delicious ribs and pulled pork; West Virginia’s Hillbilly Hot Dogs, which placed #15 on the Travel Channel’s “101 Best Places to Chow Down” list and is best known for their 15-inch Home Wrecker hot dog topped with a pile of tasty condiments; Chicago’s world Famous Billy Goat Tavern and Grill, which brings their highly publicized cheeseburger adored by the cast of Saturday Night Live who performed the sketch “Cheezborger, Cheezborger”; Tony Luke’s in South Philly, home of the ultimate cheesesteak featured on Travel Channel’s “Man v. Food”. So there you go. Come for the wine and food and enjoy some live music while you’re there. Between Beer Fest on Friday, a wedding on Saturday, and this event on Sunday … well, this weekend is most definitely the Last Bash of Summer for Kevin & myself. We’re staying the night in Louisville, an option I highly recommend. Tickets are $29 for all music performances, cooking demos and one portion of food from the restaurant of your choice. For $64, you can get all of the above plus access to the Grand Wine Tasting inside Millionaires Row 4. For $200, you can do all of the above and meet Emeril while you’re at it. Can’t make it to Louisville? Drive three more hours and you can attend the next Fork, Cork, & Style, held in Chicago on Oct 2. Full Disclosure: While I was interested in this event anyway, Kevin & I were given free tickets to attend the event, although I have no idea if we have access to the Grand Tasting. Last week, I got to eat at the wonderful (and amazingly expensive) new restaurant Sage in Las Vegas’s new Aria / City Center complex. My friend and I picked a $44 bottle of Argentinian Malbec off of the wine list, and proceeded to enjoy two bottles, but I was aware that the bottle probably retailed for around $15. We made a decision to “not think about it.” That said, we both felt we got off lucky with the $44. Mixed into the French listings was a bottle of Domaine de la Romanee-Conti La Tâche, which was listed at over $9000. Per bottle. Ouch! Think that’s rough? Prices for wine sold by the glass are tripled or even quadrupled, Wiegand says, since restaurants have to account for the chance that they won’t sell the whole bottle before it spoils. I hate ordering wine by the glass, but occasionally, that’s all I want and I bite the bullet. If I’m with a group though, or if Kevin and I actually want the same glass, I’ll tend towards a bottle. Back when Tonic was Twist, I would always order a bottle of the Gruet Sparkling Wine from New Mexico as opposed to just a glass. The difference between an ~$14 glass and a $40 bottle seemed negligible when people were sharing. I recently noticed that Tonic still offers the Gruet on their list, so if I can ever tear myself away from cocktails, I might resort to the full bottle again. Many restaurant wine lists have a sweet spot – that spot where you can find several bottles of wine in a similar price range that is actually affordable and not so far off from the retail price to give you a heart attack. At Sage, we found that spot in the Argentinian section. At the Wine Cellar at Las Vegas’s Rio, that spot was located in the Spanish wine section. 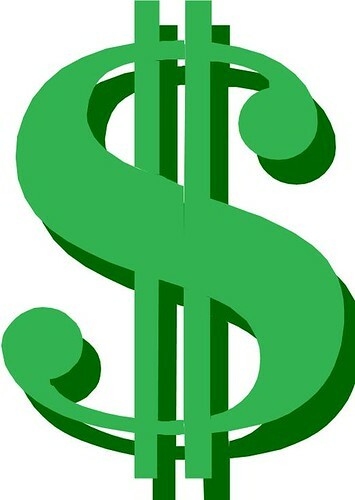 So if you have to shop by price, look for the sweet spot.